We're coming up to five years of celebrating Father's Day for Mr. TBaM and, just as every single day he's a daddy is magical, it is wonderful to have one day of acknowledging how important he is to The Boy and quite frankly just how damn good he is at it. I must confess though that we're now getting to the point where there's only so many photo mugs he can have. We need a little bit of something different this year, and so I have a little round-up of some fabulous gift ideas. If a mug is something that you think your little one's dad might like, then one that's been hand-painted and decorated will be even more meaningful than a standard 'Happy Father's Day' which a thousand daddies in Britain might have. We bought a batch of ceramic mugs from Yellow Moon (which we've used for a number of presents) to use with these porcelain pens, adding a personalised message and design is a very effective way of ensuring his mug of coffee will be the best around. There is certainly something for every taste in the Thornton's Father's Day range, and something to suit every budget. 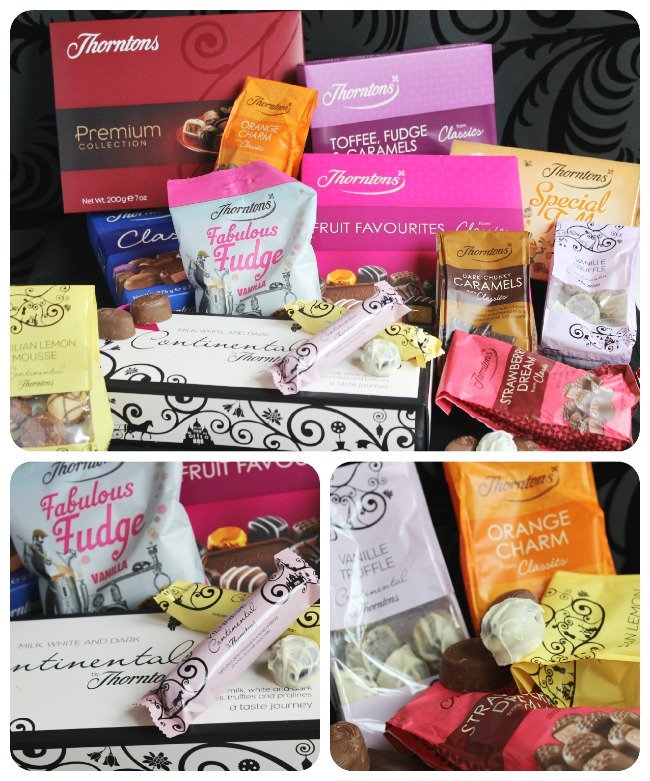 Below is the ultimate Father's Day hamper which costs a magnificent £79.99. Obviously this is a rather fantastic collection of surely every single item Thornton's does, but in reality it's more than most children can afford. However, there is a wonderful selection of other chocolate gifts shown in the range; bags of continental truffles, boxes of toffees and fudges, and single bars of luxury chocolate. With prices from £3.50 for an 'I Love Dad' truffle collection, then a little taste of heaven is certainly pocket-money achievable. I don't think I've ever met anyone under the age of 60 who doesn't have a fondness for Doctor Who, and if not a fondness then certainly a recognition of how important a part of popular culture it is. 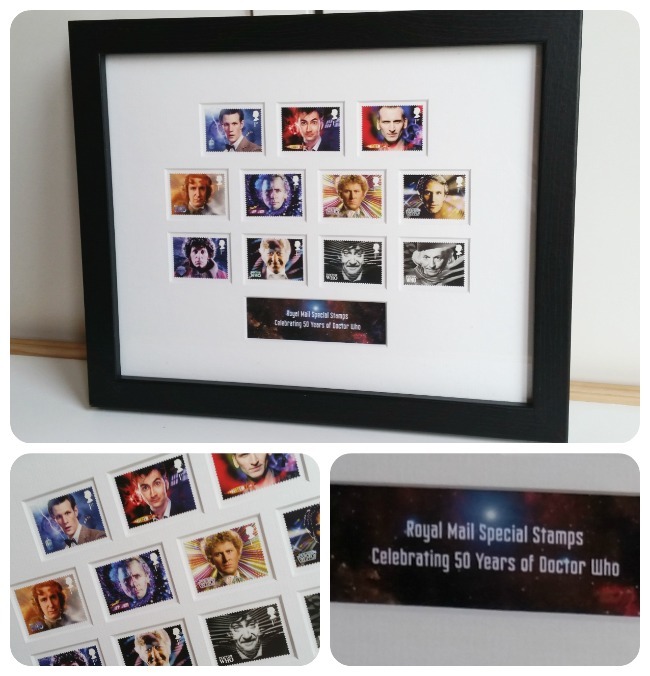 We are both particularly fond of the Doctor and his escapades and so when the Post Office sent us this wonderful framed collection of stamps celebrating the 50th anniversary. It's one of many wonderful products available in the special stamps collection online, and priced at £37.50 it would be a wonderful joint present from older children. For more of a handmade present, the fabulous Jen from Mum In The Madhouse has a collection of ideas on her Father's Day Pinterest board, I thoroughly recommend a visit! I was sent the porcelain pens, Thornton's chocolates and Doctor Who stamps for review purposes. My opinion is honest and unbiased.